Q: Will Fix-A-Floor work if I have heated floors? A: Yes! We have customers using Fix-A-Floor with heated floor elements all the time with no problems. Keep heating element off before, during & for 48 hrs. after applying. Q: Some of my grout is missing or completely gone? How can I use Fix-A-Floor? A: If bits and pieces of grout are missing here and there around the problem area, just go ahead and Drill & Fill, the adhesive will actually help to re-bond the bits that are cracking and loose. If your grout is completely gone we recommend lightly re grouting the area allow to dry and then Drill & Fill! Q: Can I use Fix-A-Floor to fix my entire floor or just a small area? 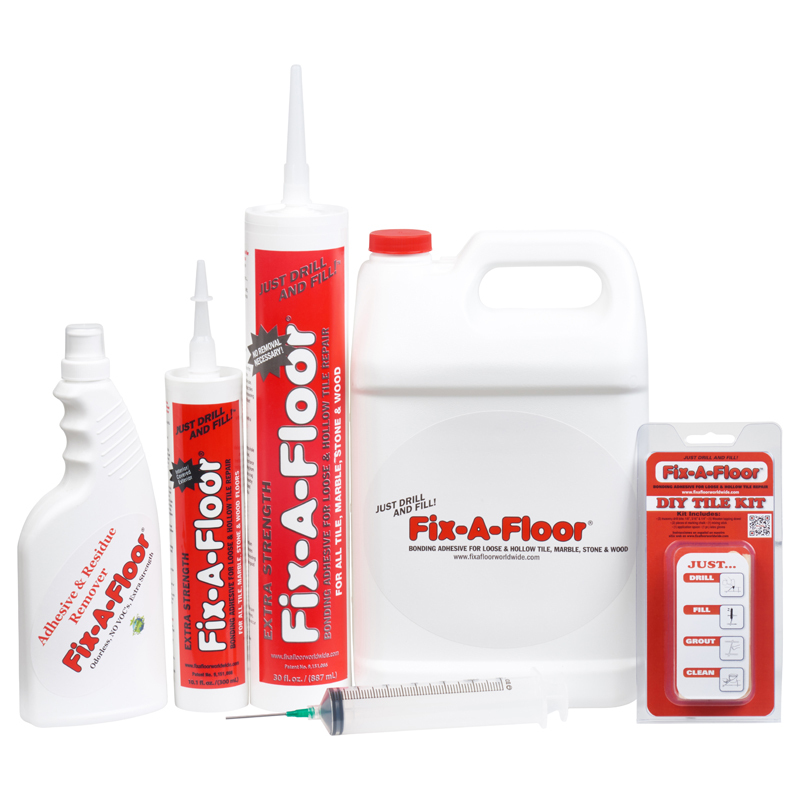 A: Fix-A-Floor works great on all size problem areas from 1 tile to the whole entire floor! Works on all types of Tile, Marble Stone & Loose Wood floors too! Q: Can I use Fix-A-Floor outside on my patio or deck? A: Yes! Fix-A-Floor works beautifully on interior and exterior applications. Q: Can I use Fix-A-Floor in my shower or Pool? A: No! 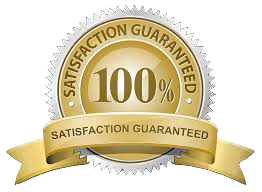 Fix-A-Floor is not recommended for areas with exposed to excessive moisture. A: Yes!Fix-A-Floor is a non-toxic, non-flammable and Eco-Friendly water based adhesive. Q: Can I use Fix-A-Floor on my creaky wood floors? A: Definitely! Fix-A-Floor works great on creaky, squeaky wood floors and laminate too! Q: Can I use Fix-A-Floor to re glue a tile that is off the floor? A: Yes, simply squeeze Fix-A-Floor onto the floor where the tile was and press the tile back down onto the floor, place weight and allow to dry for 24 hrs. Tile or wood will be rebonded! Q: Do I have to place buckets of water on my floor after I Drill & Fill? A: It is recommended you place some kind of weight on the area to aid in curing and to be sure no excess adhesive is trapped under your floor before re grouting. It is not mandatory. Q: What if I don’t see the adhesive coming up out of the other holes? A: While filling Fix-A-Floor will usually come up and out of the other drilled holes. If this does not happen move to another hole and continue to fill, the adhesive is still traveling under the floor. If you see the adhesive coming back up out of the hole you are filling, be sure you are NOT pressing the tip of the tube down onto the sub floor. If you are still having troubles give us a call, most of the time we can help: 800-774-5982. Q: Where can I buy Fix-A-Floor in my area? Q: What is the shelf life of Fix-A-Floor? A: Fix-A-Floor should last at least 2 years UN-opened and kept from freezing before use. Q: What if the adhesive is clumpy or not flowing out of the tube properly? A: The adhesive in the tube has frozen either in transit during the cold winter months this can happen. Simply contact us for a replacement. A: Shipping within the USA is FREE for any amount you wish to buy and arrives via USPS Priority Post within 2-3 days! No signature required. A: Yes! We ship Fix-A-Floor all over the world every day! International shipping is $29.99 and ships via USPS Priority International Post. Arrival times vary by country. Q: Can I return un-used/un-opened tubes if I ordered too much? Send us your Fix-A-Floor Product Reviews & Testimonials!